Work, roll, cut, shape and fire versatile PMC® like any ordinary clay. After firing, designs made with PMC Sterling™ clay come out of your oven as a sterling silver object. Create jewelry, beads, components--anything you can do with clay, you can do with PMC! 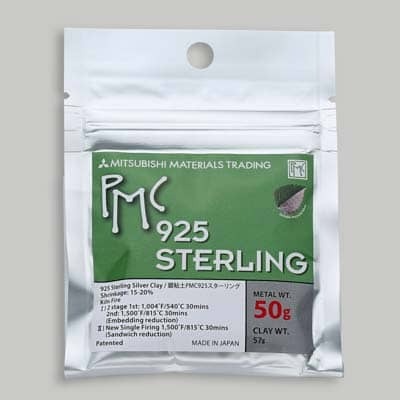 PMC Sterling™ clay has more than twice the strength of original fine silver PMC, ideal for more delicate designs and for pieces that just have to have the added strength. 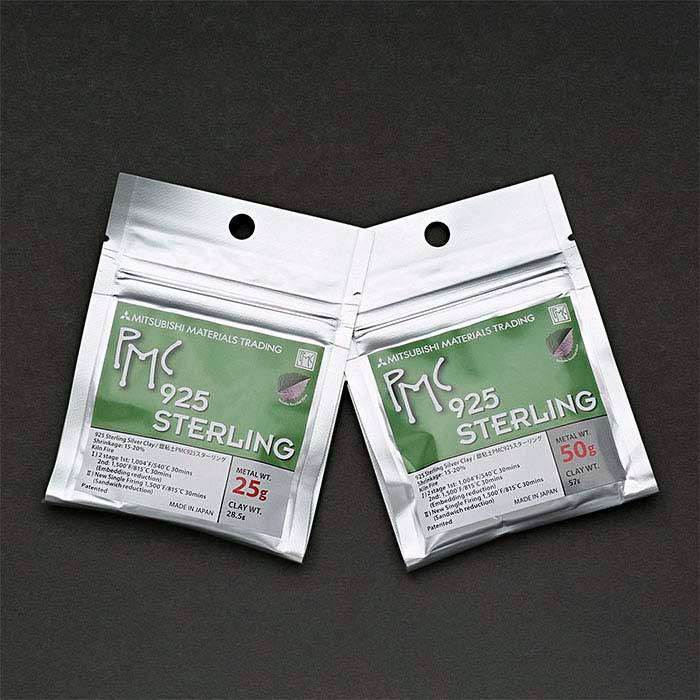 Because of the copper content in this formula, firing is a two-step process; step one is an open-shelf firing and step two requires a firing pan with activated carbon media. Because of the copper content in this formula, firing is a two-step process; step one is an open-shelf firing and step two requires a firing pan with activated carbon media.